The day we toured Long Beach, Cecil’s wife was busy picking through a neighbor’s fireplace looking for mementos from her sister-in-law’s home that had been washed away. 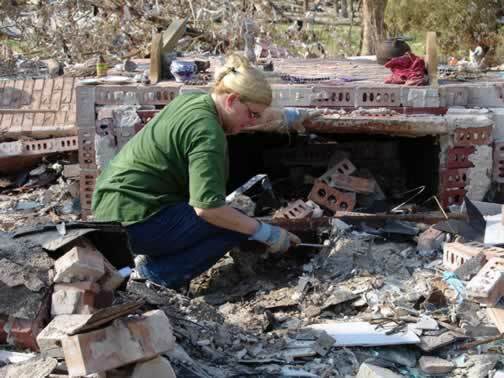 She felt that maybe some of the family heirlooms might have been caught in the neighbor’s fireplace in the flood. Before we left, she had found a gold locket that belonged to the grandmother.